Multipoint binding leads to an amplification in specificity, perhaps at least partly accounting for the high selectivity of multidentate ligand binding by ConA. In multipoint binding, multiple saccharide epitopes would coincidentally contact ConA, and if this model is important, ligands that could simultaneously occupy more than one saccharide binding site within the ConA tetramer would be expected to be more potent inhibitors. The large distance between the binding grooves, predicted to be approximately 65 A from X-ray crystallographic analysis, is easily spanned by linear polymers. Although few polymerization strategies offer control over polymer size, ROMP can be used to generate polymers of defined length. 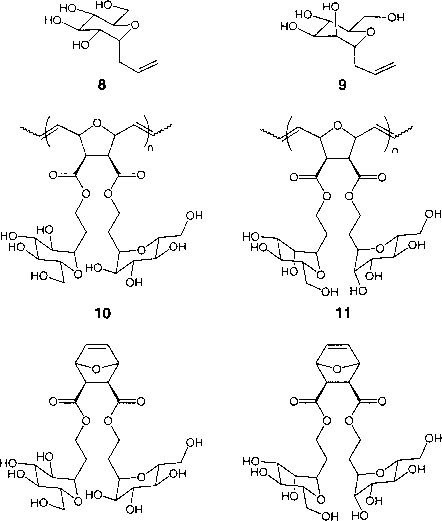 Figure 12 Kiessling's C-gluco- (8) and mannopyranosides (9) demonstrate increased functional affinity and specificity when displayed as bivalent mannose (13) and glucose (12) ligands.